We are a loft conversion company in Wirral that has many years of experience in constructing dormers and other kinds of loft conversion. We are a competitive building company, and we take pride in offering the highest quality of workmanship and the best possible service at every step of the way. Getting a loft conversion or a dormer done for your home is a big decision. It is an expensive investment, and you will want to have the confidence that it will be done properly. A good loft conversion will give your family some much needed extra living space in the short term, and if you ever come to sell the property, then you will find that it will help you to get a better price. We take pride in offering efficient, safe and non-intrusive loft conversions. There is always going to be some disruption to your day to day life when you get a loft conversion done, but our team of professionals will do everything that we can to minimise the disruption so that for the most part you can go about your daily life while we are working. We will clean up after ourselves every night, take away any waste, and make sure that when the conversion is completed your home is left neat and tidy. We will do our best to complete the work on schedule. Depending on the kind of work you are having done, there is some chance that bad weather could interfere with the work, but we will always do everything within our power to make sure that you get the loft conversion that you dream of, on schedule. We are proud to offer competitive prices, while still using the best possible materials, and professional workmanship, so that you get a comfortably insulated, nice looking, secure loft conversion that is comfortable to stay in. We have many happy customers all over the area. If you would like to know more about the kind of loft conversions that we do, just get in touch with us. We would be happy to give you some testimonials, and even put you in touch with past customers so that you can find out for yourself whether the work that we do is up to standard. 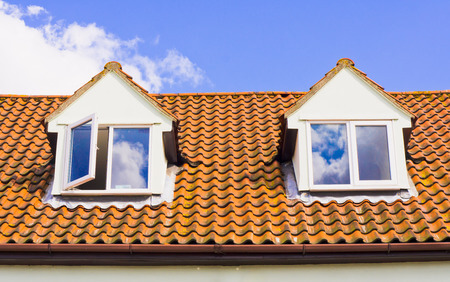 Our customers would be happy to tell you not just about the dormers and loft conversions that we have done for them, but the way that our tradesmen conducted themselves, the quote process, and the process of the building work itself. When you decide that you want to get a loft conversion, we will come out and look at your property, and then give you a quote for the conversion work. Our tradesmen have expertise with construction and joinery, and we will be able to tell you how long the work will take, and whether you would need planning permission for it. If you have any other questions about the job they would be happy to answer those too. We are fully insured, and we operate in accordance with all UK building regulations. We are a small, independent company that takes pride in providing service that is both professional and personal. Our tradesmen are time served, with the relevant NVQ/City and Guilds training, to ensure that all work is carried out to the highest standards. Give us a call today for a no obligation quote. If you need assistance with finance for the construction project, we would be happy to recommend a lender for you, but you are under no obligation to use them. We specialise in building, and you are free to make your on financial arrangements.